Take coconut oil in a medium sized bowl. Melt it a bit if solid. Add baking soda slowly and stir until it forms uniformly white in colour. Finally, add essential oil and stir again. 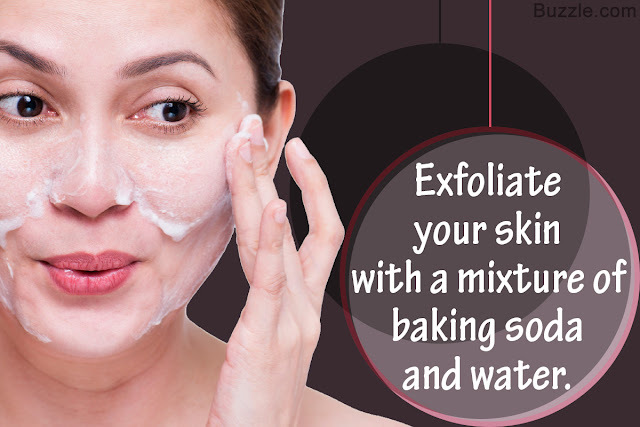 To use, take about a teaspoon and scrub gently on face for 30 secs and rinse off. This can be used as a body scrub too! To get rid of acne or pimples, you do not need harsh commercial treatments. 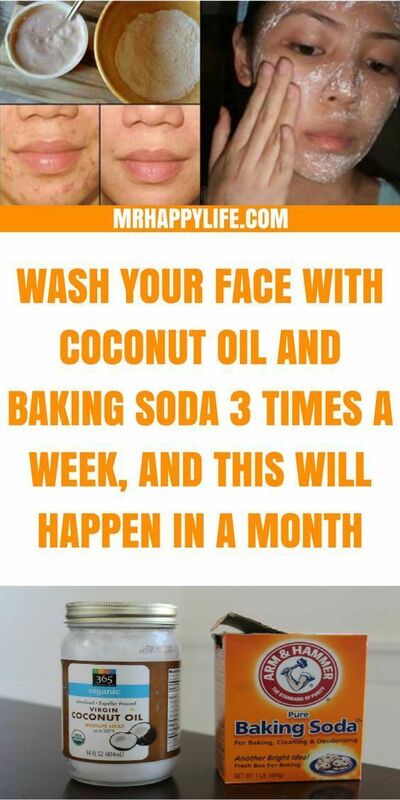 Baking soda and coconut oil scrub will do the work easily. The antiseptic and anti-inflammatory properties of these two miracle ingredients helps treat the cause as well as reduce the symptoms of acne and other breakouts. In addition, it helps balance the skin’s pH, which helps reduce the occurrence of skin breakouts. During the summer, keep a jar of baking soda and coconut oil scrub handy. Due to its alkaline nature, the scrub has a soothing affect on sunburned skin , which helps relieve the itching and burning sensations. It also has mild antiseptic and drying properties that help dry out sunburn blisters quickly. Regularly exfoliating face and body with this scrub gently washes away rough outer layer of skin and reveals new soft skin. This in turn gives your skin a healthy glow and also lightens dark patches . Skin rashes and itchiness can cause a lot of discomfort. You can treat these problems with baking soda-coconut oil scrub. It has a soothing effect on the skin due to its anti-inflammatory properties that also help reduce inflammation, itching and swelling. It evens the skin tone and prevents the buildup from clogged pores. It deeply cleanses skin by absorbing the excess oil. It acts as good oil- absorbing agent to clear excess oil. Regular usage will make your skin whiter, softer and shinier. It acts as an exfoliant that removes the cellular damage, especially in the darkened skin.